As an antidote to all of the Ice Bucket Challenge stuff that has taken over the internet I thought that I would take some time and mourn my motorbike. I think I have managed to ride her less than ten times this year. This is how I last saw her. She has been sitting in the shop for a month now waiting for parts to be delivered. 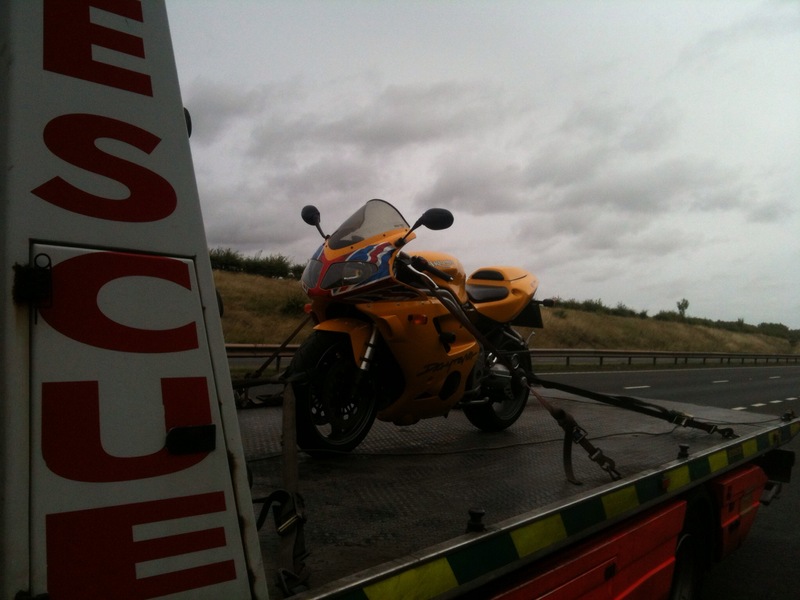 She needs a new regulator, speed sensor, number plate light housing, front tyre valve and front brake pads. At this point I would usually give up and get a new bike but I love my bike. Mind you there are things afoot that mean that I have to save my pennies. Fingers crossed she will be coming home soon so that I can get to ride her before winter comes.